For the Olympic Games over 100 different IT systems and applications will be used to deliver an exceptional Olympic Games experience. 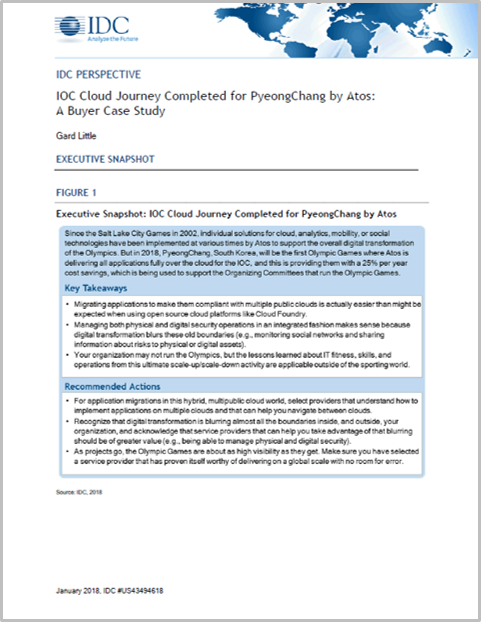 Read about the IDC perspective on PyeongChang 2018 and how Atos completed the IOC Journey to the Cloud. Discover more about how Atos turns the Olympic Games securely into a fully connected global experience .